On any given day you never know what you might find parked on Buffalo’s West Side. 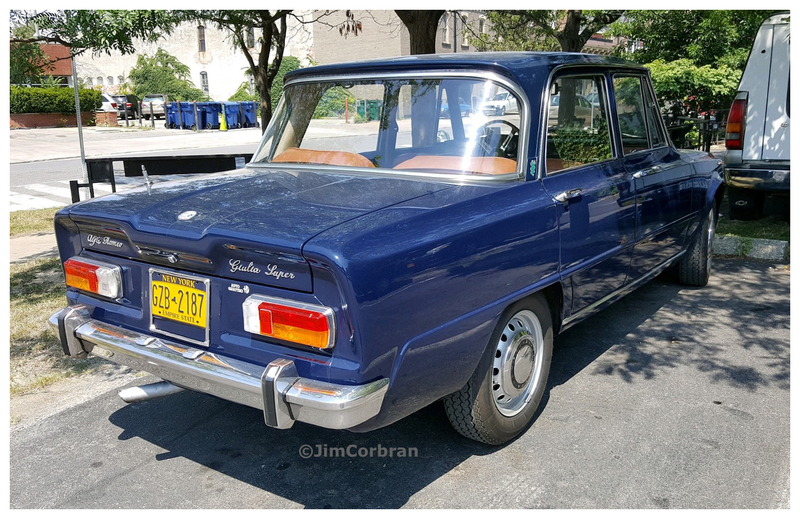 Last Thursday I came across this 1969 Alfa Romeo Giulia Super near a pub where I was having lunch. 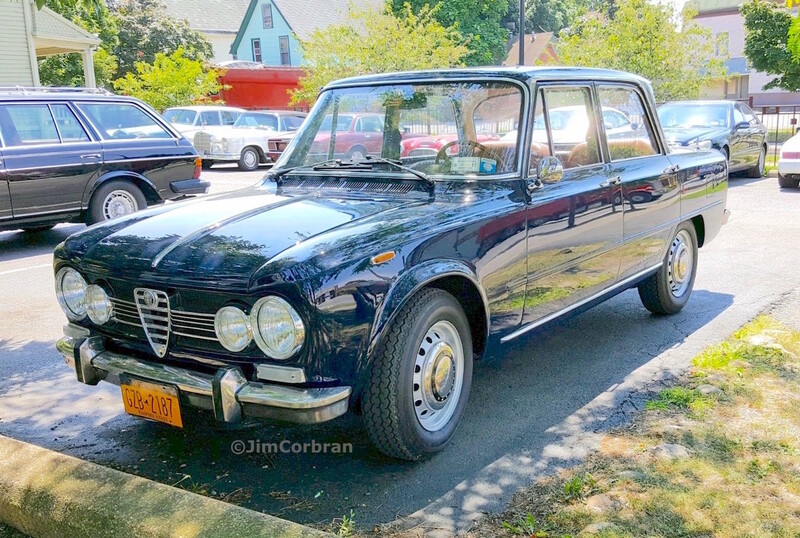 (When one thinks of Alfas, it’s not unusual to think of Dustin Hoffman’s ride in The Graduate — a 1966 Alfa Romeo Spider 1600 Duetto.) If you’ve never seen one of these compact sedans before, think of them along the lines of early BMW four-doors: excellent-handling, fast, attractive small sedans capable of carrying the family while Mom and Dad had a ball behind the wheel.